Detailed listing of events available here. Congress of Collectives is designed to unite collectives, individuals who choose to work collaboratively, and audience members. The three week-long series of events will examine the many forms of collaboration, participation, and self-organization and will provide a platform to generate new works, discussions, and enduring relationships. 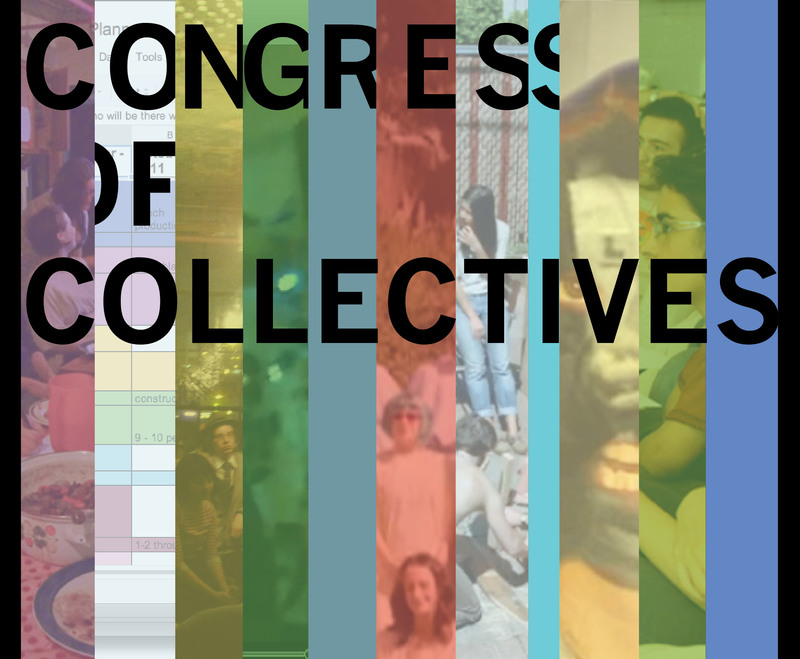 Congress of Collectives will include formal programming such as panels, talks, screenings, and performances, and informal programing, including dinners, impromptu discussions and actions. Initiated by Flux Factory, the Congress has been planned and developed collaboratively by artists, city planners, architects, arts administrators, film makers, and activists representing over 24 collectives from the US, Europe, and the Middle East. With Flux Factory in Long Island City as the central hub, the Congress’ many events and projects will also take place in various venues including Creative Time’s ‘Living As Form’ project space at the Essex Street Market (Manhattan), Silvershed (Manhattan), Union Docs (Brooklyn), NurtureArt (Brooklyn) and Bronx River Art Center (Bronx). Participants: Aabille (DK), AAS (UK), Action Club (US), Bhome (US), Birds’ Ear View (UK/US), BroLab (US), Bronx River Art Center (US), BROODWORK (US), DePave (US), DoTank:Brooklyn (US), Flux Factory (US), Gaengeviertel (DE), Ghana Think Tank (US), Hotel Bar Club (US), Little Berlin (US), Madagascar Institute (US), Makan (JO), Meow Wolf (US), Openhagen (DK), Paper Tiger Television (US), Parfyme (DK/NO/US), Pie Lab (US), Play Lab (US), Raketa (SE), Reactor (UK), Red Channels (US), Social Practices Art Network (SPAN) (US), Spaceship (IL), SP Weather Station (US), Street Plans (US), The Work Office (US), Tomorrow Lab (US), ULTRAFUTURO (Bulgaria/Russia), Union Docs, Urban Layers (US), Voina (RU), Wooloo (DK). Curated by Douglas Paulson & Christina Vassallo, organized by Summer Guthery with special thanks to Angela Washko for production assistance. More information about Congress of Collectives workshops, public actions, discussions, and meetings can be found here. Congress of Collectives is supported, in part, by The Andy Warhol Foundation for the Visual Arts, Bloomberg Philanthropies, Materials for the Arts; and by public funds from the New York City Department of Cultural Affairs in partnership with the City Council and the New York State Council on the Arts, celebrating 50 years of building strong, creative communities in New York State’s 62 counties.